Using industry leading instrumentation and equipment, along with the most advanced methodology available, Modern Canna Science provides accurate cannabinoid profile testing for Medical Marijuana Treatment Centers (MMTC’s) growing, processing, and dispensing product. Cannabinoid profiling is the primary lens through which processors, physicians, and patients can understand and assess the true potency of medical cannabis products. Cannabinoid profile results help doctors and patients more accurately determine dosage amounts based on the levels and concentration of active cannabinoid compounds. More than 80 cannabinoid compounds have been identified by researchers, and many of these offer proven medicinal benefits for patients diagnosed with cancer, HIV, Parkinson’s disease, and dozens of other illnesses. Cannabinoids have been shown to help with pain and nausea relief, preventing nervous system degeneration, reducing seizures and convulsions, lowering blood glucose levels, and inhibiting bacterial and tumor cell growth. Although cannabidiol (CBD) and tetrahydrocannabinol (THC) are two of the most well-known cannabinoids, our testing includes an in-depth analyses of the most common compounds found in cannabis, including THCA, THCV, CBDA, CBDV, CBN, CBG, CBGA, and CBC. A cannabinoid profile identifies and quantifies the type and amount of psychoactive compounds in medical marijuana products, allowing consumers to make informed decisions about their treatments. Modern Canna Science uses high performance liquid chromatography (HPLC) UV technology to measure cannabinoid potency and concentration, providing reliable data about any edible or cannabis product. Most patients have distinct preferences for certain THC/CBD ratios, which underscores the importance of exact CBD cannabinoid and THC cannabinoid profiling. MCS employs advanced procedures, methods, and technology to give you accurate cannabinoid profile results in a timely fashion. 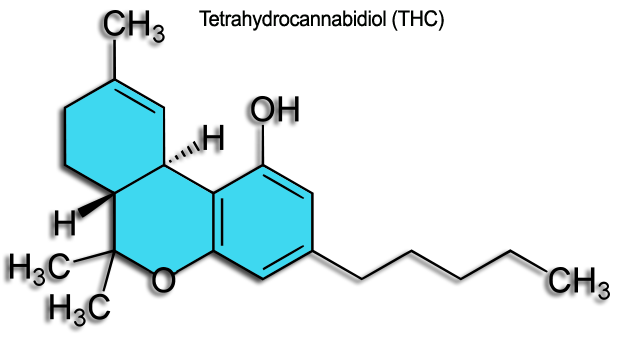 THC – Δ9-Tetrahydrocannabinol – Marijuana’s most abundant cannabinoid, THC is responsible for the majority of cerebral and psychoactive effects of cannabis. Known for its antioxidant activity, THC helps ease neuropathic pain and may be used to help reduce inflammation. 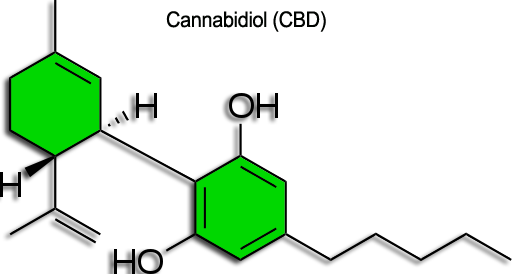 Tetrahydrocannabinolic Acid (THCA) – THCA is the primary cannabinoid in raw, unprocessed marijuana. When heated to a certain temperature, vaporized or burned, this compound converts to Δ9-THC. Tetrahydrocannabivarin (THCV)–THCV is present in some strains of cannabis primarily cultivated in Africa. Researchers are currently investigating its medicinal properties for treating diabetes, helping promote bone growth, and suppressing appetite. Cannabidiolic Acid (CBDA) – CBDA selectively impedes bodily enzymes, which contributes to the anti-inflammatory properties of cannabis. Cannabidiol (CBD) – This compound helps balance out the psychoactive effects of tetrahydrocannabinol, which can help diminish anxiety. CBD has great medical potential and is believed to inhibit the growth of cancerous cells. Cannabichromene (CBC) – Research shows that CBC contains several medicinal properties, such as helping stimulate bone growth, reducing inflammation, providing pain relief, and inhibiting the spread of cancerous cells. Cannabinol (CBN) – Marijuana plants contain very little CBN, which acts as a marginal agonist at the CB1 and CB2 receptors. This compound is only moderately psychoactive and produces a mild sedative effect. Cannabigerol (CBG) –CBG does not have psychoactive effects, but is reported to have proven anti-inflammatory, antibacterial, and anti-cancer properties. Cannabidivarin (CBDV) – Research on this cannabinoid is still pending, but early studies show CBDV may help control and manage seizures in patients with epilepsy. Today’s medical marijuana patients are demanding a higher standard of care and this begins with precise knowledge about the pharmacological effects and contents of their medicinal products. To learn more about cannabinoid profile services in Florida from our cannabis testing lab, we invite you to contact Modern Canna Science by calling (863).606.3090 or using our online contact form.